A performance of theatre, comedy and poetry in aid of CALAIS ACTION’s work with refugees in camps across Europe. Five of our most exciting playwrights offer work exploring the themes of displacement, exodus and the humanitarian disaster of the refugee crisis. 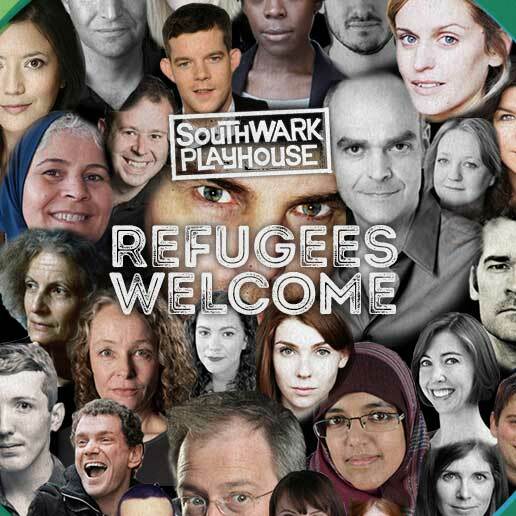 Curated by David Mercatali, Associate Director of Southwark Playhouse, writers include Olivier Award winner TIMBERLAKE WERTENBAKER, Time Out and Evening Standard award winner PHILIP RIDLEY performing his own poetry, and ANDERS LUSTGARTEN performing an extract from his acclaimed refugee play Lampedusa. The evening will also include original poetry from refugees in the camps of Calais and Dunkirk, alongside short pieces from Critics Circle Award winner BARNEY NORRIS, MEDIAH AHMED and TESS BERRY-HART. Matinee compered by Nick Horseman and evening show compered by John Henry Falle. A Q&A with Ahmad, a refugee from Aleppo, Syria, plus aid co-ordinators at CALAIS ACTION. Welcome to Our Jungle – a participatory photography project by the people of the Calais refugee camp, known as the ‘Jungle’. The project gives a voice to those directly effected by the crisis in an attempt to provide an all important counter narrative to the misrepresentation they so often receive in the mainstream press. Glitter Aid – a makeover stall where for a donation to CALAIS ACTION you can have yourself made up to look fabulous! Supported by Southwark Playhouse and Blue Elephant Theatre. Profits from the night will be donated to CALAIS ACTION, a direct-giving organisation, which collects and sends aid to the camps in northern France, the Balkans, the Greek Islands and Syria. Calais Action also campaigns in Parliament and advocates publicly for more safe and legal routes for refugees to claim asylum. You can find out more about the work they do by visiting their Facebook page.